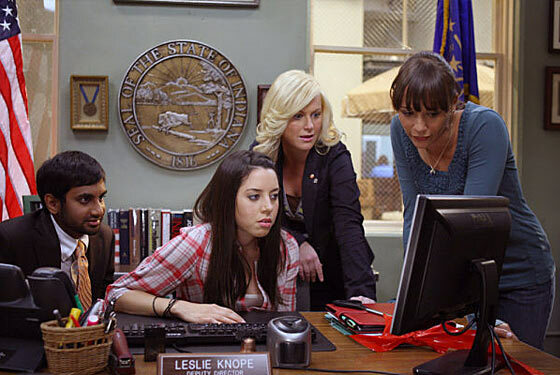 'Parks and Recreation' is the best comedy currently on TV. In today’s issue of the Tufts Daily, I have my fourth and final piece in a four-part series investigating the current state of network television comedy. I’m taking a network by network approach, and today’s installment focuses on NBC. NBC is a struggling network. It is currently in fourth place among the broadcast networks in total viewership, averaging 7.39 million viewers, and is tied for third place in adults 18-49 (the coveted advertiser demographic) with a 2.4 rating average. The fact that NBC lacks a certifiable hit, though (aside from “The Office” and maybe “Law and Order: SVU”), has been a blessing in disguise for most of the network’s Comedy Night Done Right lineup. “Community,” “Parks and Recreation” and even multiple Emmy-winner “30 Rock” all underperform in the ratings, but since the ratings threshold is so low, their performances are acceptable and good enough to be renewed for new seasons (as all four aforementioned comedies have been).